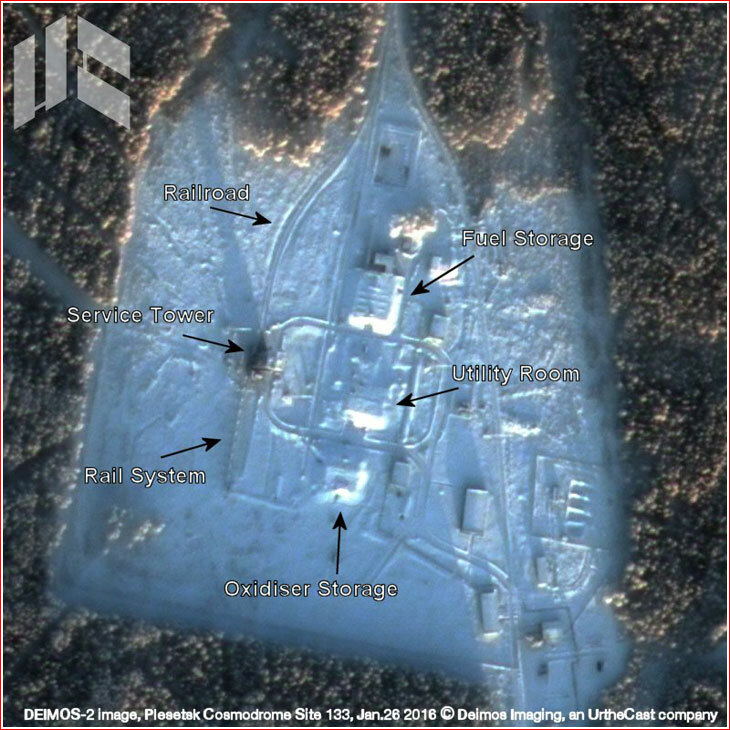 A satellite view of the Site 133 facility in Plesetsk. In 1965, the USSR started the construction of a new launch facility at the nation's northern Plesetsk test range to host light-weight Kosmos (11K63) space boosters deriving from the R-12 ballistic missiles. The new complex code-named Raduga (Rainbow) was developed by the Central Design Bureau of Transport Machine Building, KBTM, and the Central Design Institute of the Ministry of Defense. 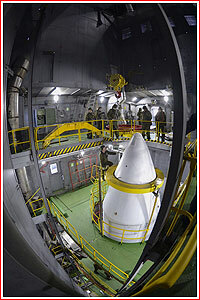 The facility needed elaborate infrastructure to handle five types of propellants and three types of gases including nitrogen, helium and air heated up to 120 degrees C, all used in a two-stage Kosmos-2 rockets. 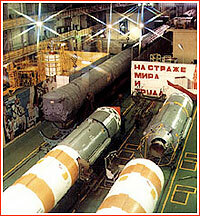 Under regular circumstances, the Kosmos launchers were designed to be prepared and mated to their payloads in an assembly building and then delivered to the launch pad in horizontal position by railway. On the pad, the mechanisms of the service tower would erect the vehicle into vertical position. The service tower would be rolled away from the rocket shortly before launch, while a separate umbilical gantry would remain next to the launcher to connect power cables and propellant lines to the upper stage until the liftoff. The Raduga's Site No. 133 launch complex was used for the first time on March 16, 1967, to launch a new version of the R-12-based booster designated 11K63. It delivered the Kosmos-148 satellite into orbit. The complex was considered to be under testing for another year, while a total of seven launches were conducted. On October 30, 1967, a Kosmos-2 booster delivered into orbit a small electronic-intelligence satellite - Tselina (Kosmos-189) - the type previously launched from Tyuratam. 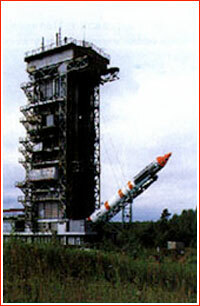 In 1967 and 1969, a launch complex called Voskhod was completed at Plesetsk's Site 132. It featured two pads for Kosmos-3M (11K65M) space boosters, which derived from the R-14 ballistic missile. (70 p.169) According to Soviet-era sources, the Voskhod complex employed similar procedures to the Raduga facility to process launch vehicles. Both sites also shared the same assembly and checkout facilities. (71 p.427) On May 15, 1967, the first Kosmos-3M booster was launched from Plesetsk carrying a military navigation satellite - Kosmos-158. Since 1967, Kosmos-3M was used to launch the Tsyklon navigation satellites for the Soviet navy. Up to 1970, Lieutenant General Alpaidze led the State Commission overseeing the testing of Tselina-O electronic intelligence satellites launched from Plesetsk on Kosmos-3M. Between 1968 and 1980, Kosmos-3M flying from Plesetsk also carried Sfera military geodesic satellites. The first of these was launched under name Kosmos-203 on February 20, 1968. After 1970, a new processing and integration building dedicated solely to the Interkosmos project involving Eastern-european teams of scientists was completed in Plesetsk. Also from 1970, Kosmos-3M based in Plesetsk was used to launch the Strela communication satellites. The first group of eight satellites was launched by a single rocket in April 1970. Eventually these operations were taken over by the Tsyklon-3 booster. On June 26, 1973, nine people were killed at the facility during a routine attempt to launch Kosmos-3M rocket. In the 1990s, the Russian Ministry of Defense made plans to refurbish the Voskhod facility for the Kosmos-3MU Vzlet booster, however this rocket apparently was never developed. Instead, on June 13, 1997, the Russian government issued an order No. 824-r ordered the rebuilding of the 11P865P complex at Site 133 for the Rockot booster, which lifted off from the site for the first time in 2000.